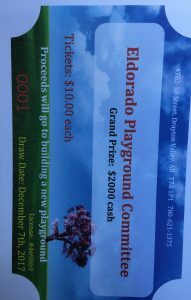 We are having a raffle fundraiser to raise money towards a new playground at Eldorado elementary. Tickets are $10 and the prize is $2000. Draw date is December 7,2017 and only 1000 tickets were printed for this raffle. To purchase a ticket please contact jennifer at 780-235-4550 Or stop into the Eldorado office . 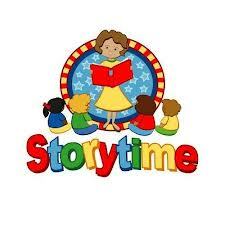 Silly, thrilling, sweet or funny? Which will be YOUR favorite? 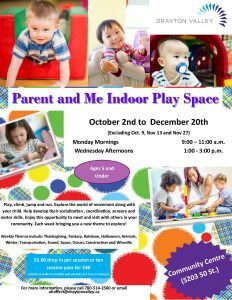 MakerSpace is a creative crafting and building time for all ages! While some sample crafts are available, you are only limited by your own imagination! We provide all supplies - absolutely free of charge! 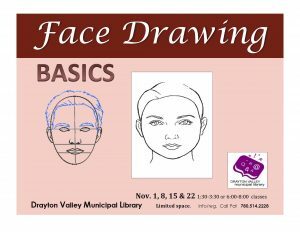 Join Pat at either 1:30pm or 6pm November 1, 8, 15 and 22 for techniques and more! Please call Pat at 780-514-2228 for details. Thank you! 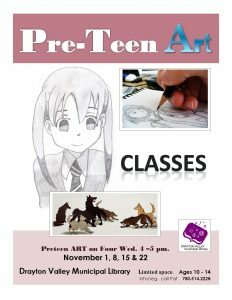 Pre-teens that love art are invited to join Pat November 1, 8, 15, 22 & 29 for a different art project every week. Please call Pat for program details. Thank you! 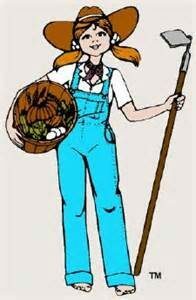 Volunteer and service clubs help build community. 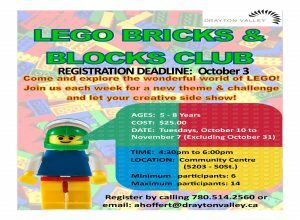 Check out the organizations you can get involved with in Drayton Valley. Plan your getaway with basic information about Drayton Valley’s location and climate, how to get here and access to Brazeau Regional Tourism. Access the many adult education and career information services to help you gain new skills or improve existing abilities.